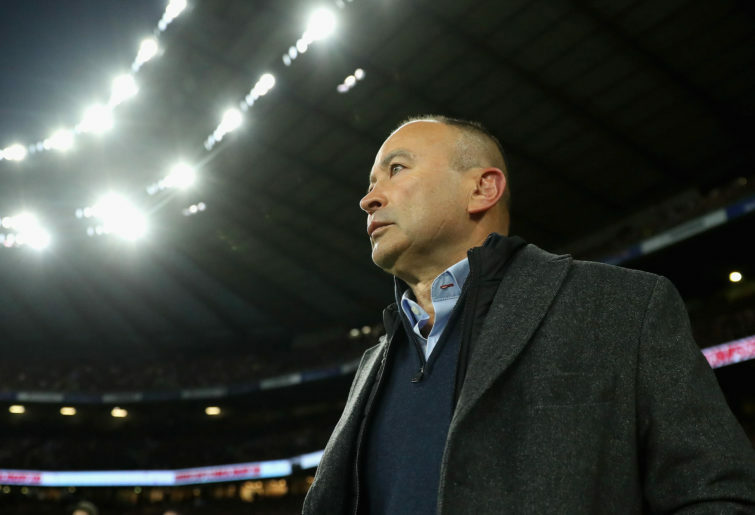 England’s Australian mastermind Eddie Jones loves to say things nobody believes. It’s a style of speech. We all know all coaches of the six teams with a chance of the Rugby World Cup semi-finals are dreaming, obsessing, planning and fearing the key pool matches and projected quarter-final matchups. Ireland’s rugby intelligentsia made no such pretence. They went there. Most pundits from the Emerald Isle went into a full-blown panic about England showing New Zealand and South Africa the ‘game plan’ to handle Joe Schmidt’s ball-control offence. The subtext was: if England can insert a couple of Vunipolas and a Tuilagi and make us crumple into little balls of damaged green marrow, what unholy hell can the Boks and All Blacks unleash if they put their mind less on tactics and more on sheer battery? England was impressively better at the Schmidt-Farrell style than Ireland: clinical, physical, organised and no-nonsense. Elliot Daly played the part of Rob Kearney, passing well, safe as a border backstop and opportunistic to take his mad try. The English wings hunted for television time like those days when Nigel Farage and Boris Johnson find the BBC camera after Jonny May’s mum gives a speech. Square-jawed, square-haired Henry Slade transmogrified into Brian O’Driscoll, lucky and good and also lucky and really good. His gallop, scoop, dive, crawl, stretch, and lovefest for the jugular try was something BOD would have manufactured. Manu Tuilagi seemed as joyful as a Galway stonemason on Friday payday, looking for a fight and a laugh. The entire English backline chased like 2018 Irishmen, causing 2019 Irishmen all manner of problems in defusing the bombs laid down perfectly by Jonny Sexton’s emotional doppelganger Owen Farrell and his mate Ben Youngs (impersonating Conor Murray as a master box kicker and attack general and nuisance). But it was in the trenches where England really did look like somebody had bugged Irish training sessions. The Vunipola in the front row was the best prop on the pitch. Jamie George bested Rory Best and did it for 76 minutes, while Kyle Sinckler only heard Peter O’Mahony’s worst insult because he was playing better than his opposite. The white-jerseyed locks were absolute nightmares at the breakdown and tacklepoint; all of them playing like Paul O’Connell in his heyday: manic intensity with malice. Tom Curry seemed tasked with hurting Irish backs, mostly legally, and slowing Murray’s ball, mostly illegally but that’s his job, all of which allowed Mark Wilson and the other Vunipola to smash Irish forwards. Don’t let Eddie’s generous praise fool anyone. This was crushing for Ireland; like a hangover on the day you get sacked and come home and your girlfriend left you. Owen embarrassed his dad, even leaving points on the field just for good measure; the home side’s back three looked adrift. The collisions seemed to offend even big lugs like Healy, but instead of becoming angry, they looked a tad docile, except to hurl invectives into the cold heavens, or mutter to their own selves. Devin Toner looked mightily miffed. Garry Ringrose fought a good fight, but nothing came of his smart kicks and tackles. Bundee Aki isn’t really as physical as many think. Jacob Stockdale is still learning his craft. But the entire narrative of “Ireland is the best team in the world” or even the “It’s the All Blacks or Ireland, and then, the rest” was given truth serum, because that meta-narrative depending on this micro-story: that Sexton-Murray is the best old school combination of 9-10 in the world, with apologies to BBBBB who is the best player, but not best flyhalf. Well, it’s not clear Sexton can get from here to there, meaning Japan. He was rash, he was uneasy and at the end, he looked miserable. Murray should have been replaced at the half by a better half. But the rest of the bench offered little. It’s not too early to talk about confidence. Only a handful of Tests precede Ireland’s campaign to progress past the quarter-finals for the very first time, and confidence is king. Scotland awaits and it will be no picnic at Murrayfield. Meanwhile, everyone who wants to boost their confidence should play France at the moment, because they keep finding incredibly difficult ways to lose matches: the way 2018 Ireland won it with a Sexton drop goal after what seemed like a hundred phases, the extra four minutes that gave the Boks a larcenous win at the end of last year, and now, to give Wales a comeback from 0-16 at halftime, when it really should have been 0-21. Liam Williams looks like he could become a World Cup hero, George North is still much younger than we think and the Welsh backline looks like they have depth in every position, with top quality in smart Jonathan Davies, feisty Gareth Davies, calm Dan Biggar and a veritable bevy of loose forwards seemingly rolling off some assembly line deep in a lost and magical coal mine. Wales looks like they are just a couple of players (the Kiwis: Gareth Anscombe and Geoff Parkes’ cousin are probably at risk) away from sneaking into the semi-finals in the Big Dance; but Josh Navidi, Justin Tipuric and that big nasty bugger at No 8 filling in nicely for Toby Faletau looked the goods. The opening weekend did show us a few things about the World Cup, Eddie: teams will have to bring more than boring competence to get into the final four, depth is all, every season poses new problems and don’t count out England, bloody England.